Copyright 2014: Tracey Brewington Property Management. Property Management Anchorage. All rights reserved. As Jack White's property manager, I screen all applicants thoroughly to find the very best tenants. This includes verifying employment, past landlords, references, credit reports and any court system records. Security and pet deposits are required. When you've been in the area as long as I have, you develop a large network of relationships that can really come in handy when renting a property. Some of our tenants move from one Jack White property to another because they want to stay within our company. 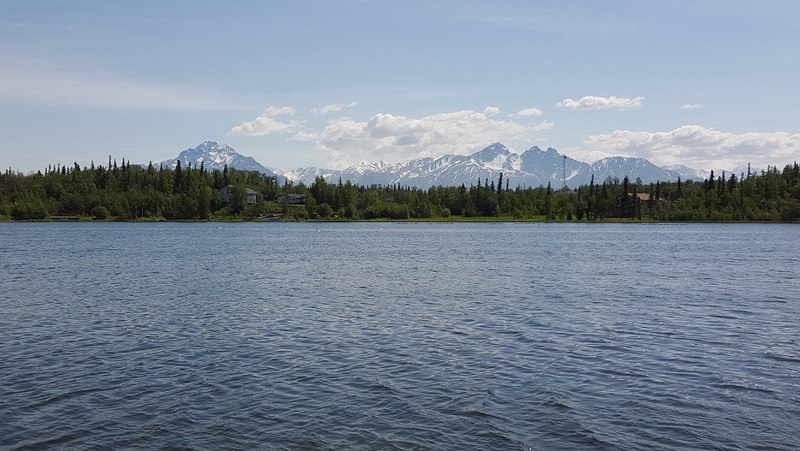 Weather you are new to Alaska or looking for a new place to call home, we have many properties available in the Mat-su Valley and Anchorage. Simply search our available selection of properties on my website traceybrewington.org or make an appointment to view the rentals. We will bring an application to the showing for you or you can get one on my website. You will be in your new home before you know it! Rentals can go fast, so please call us for availability and don't put off submitting your application until it is too late. For your convenience click on the star link to the right and under this message to go to the transportation website to see what schools the address would fall in. All of our tenants are required to carry renters insurance, check with your car insurance company for the best rates! Usually $8-$15 a month. 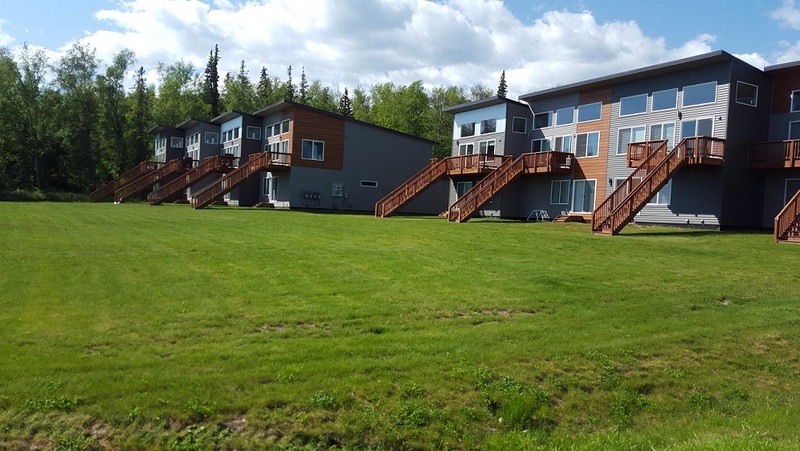 Description: #2301~Beautiful Lake front units in heart of Wasilla! This Palmdale Dr. property is on the lake and everyone renting here has access to yard and docks. 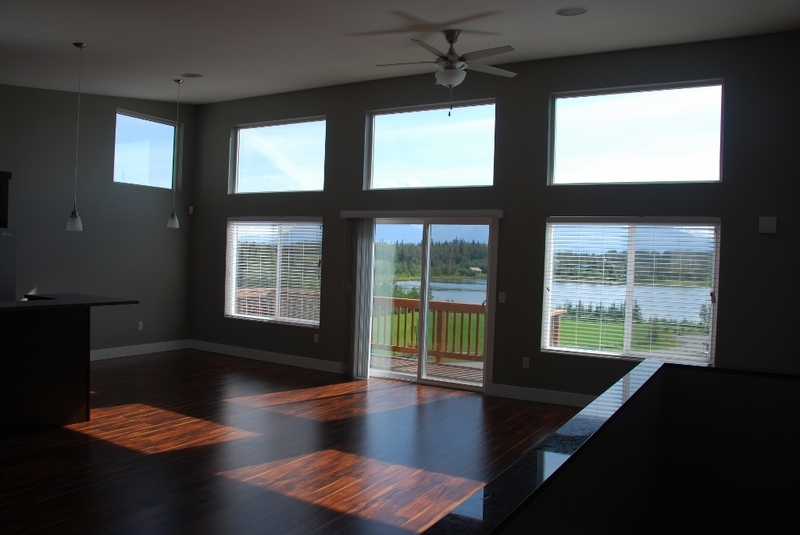 This is a like new, beautiful, townhome on Wasilla Lake. 3 bedrooms, 2 bathrooms. These Townhomes are 1610-1760 sq. feet. They have lots of upgrades and many extra features. 5 burner gas ranges, side by side refrigerator, large pantry, stainless appliances and front loader washer and dryer in laundry room. In floor heat and 5*+ units for low utilities. 2 stories with wonderful mountain and lake views. Lake front balconies overlooking landscaped yard and lake. 2 car garages. Water, sewer, snow removal and yard maintenance paid by owner, dock space available, no smoking in units. This is a newer community in a very great commuter location. For an added bonus all units have security systems! MTA DTV, GCI cable or DishNetwork/Directv are all available at this property. No Pets! This is an introductory promotion offer for new tenants only-with immediate move in. Description: #2424B2 This is a very nice ground level 2 bedroom, 1 bathroom apartments in a great commuter location. Beautiful views of Pioneer Peak. 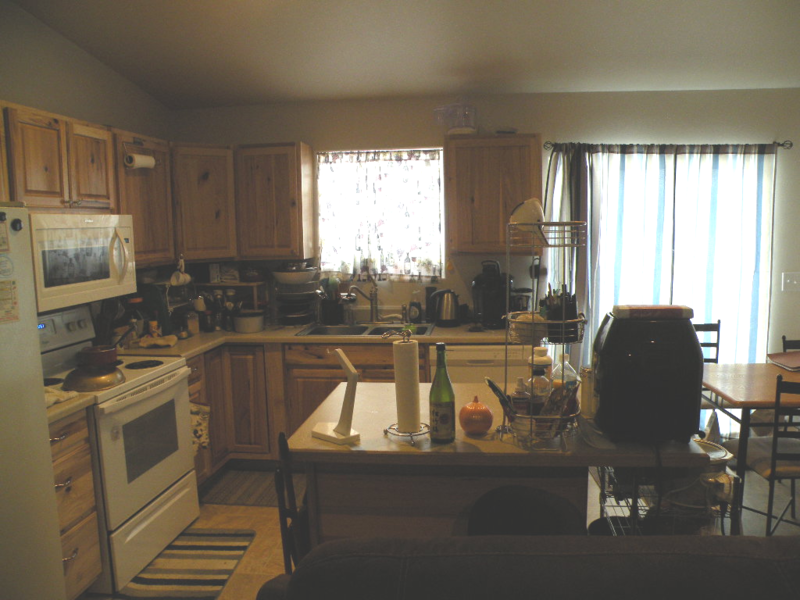 Kitchen is good sized with lots of cabinets, electric range, dishwasher, pantry, and new carpets. Living rooms overlook views of mountains. Paved parking, coin op washer and dryer in building. No smoking in units. Tenant pays lights, owner pays heat, gas, trash, landscaping, snow removal. Mail delivery available at complex. No smoking in units. May have a cat on approval with additional $250 pet deposit. No dogs. Photos of different units. ​Description #2007 This is a small cabin, being painted right now. Cute and clean. Washer, dryer in unit. Loft bedroom, 3/4 bathroom. One small pet on approval with $500 pet deposit. Tenant pays natural gas heat, electric and trash. No smoking. House is across the street from a lake, so some times of the year you get a lake view. Private setting. 12 month lease. Description: #2424A6 This is a very nice top penthouse level 2 bedroom, 1 bathroom apartment in a great commuter location. Beautiful views of Pioneer Peak. 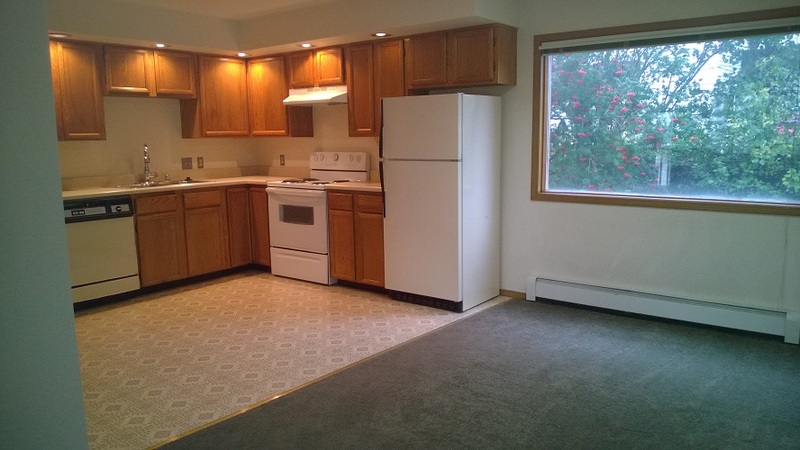 Kitchen is good sized with lots of cabinets, electric range, dishwasher, pantry, and new carpets. Carpet in living room, laminate in halls and bedrooms. No smoking in units. May have a cat on approval with additional $250 pet deposit. No dogs. 1/2 off move in rent with immediate move in! 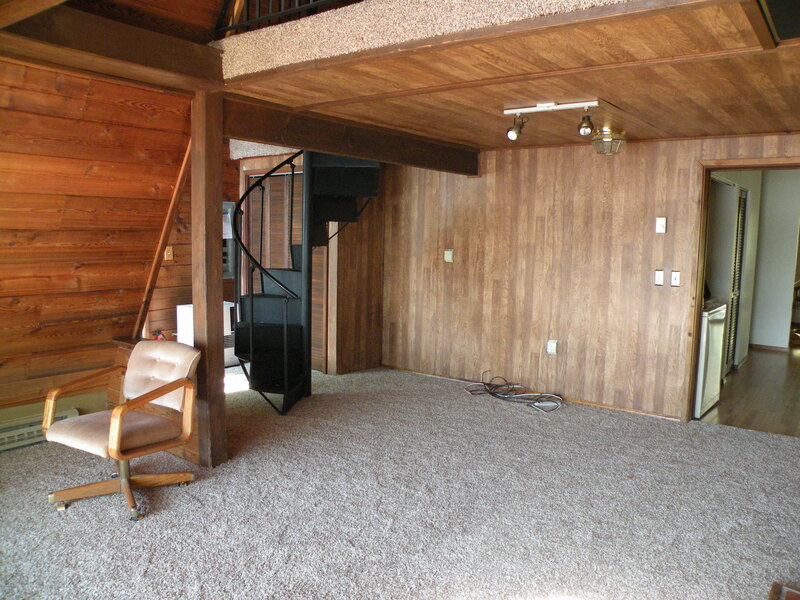 ​Description #2691This is a beautiful, spacious 2 story duplex unit. 3 bedrooms, 2.5 bathrooms, large kitchen with lots of cabinets and pantry. Built in microwave, granite counter tops, stainless appliances. Vinyl flooring downstairs, carpet up. Jack and Jill bedrooms and a large master suite with walk in closet and private bathroom. Washer and dryer in unit. Paved driveway and parking area. Lots of upgrades. Tenant pays gas, electric and trash. Pet on approval with additional $50 in pet rent per pet. Plus $250 per pet deposit. No smoking in unit. Large oversized garage. Shorter term 6 or 9 month lease may be available for $50 a month in extra rent. ​Description #2733 This is a very nice, newly painted, upstairs 3 bedroom, 2 bathroom duplex unit. Nice sunny living room/dining area. Large kitchen with lots of cabinets. All appliances including washer and dryer. Private deck and lots of parking. Owner pays all utilities including trash. Owner requires first, last months rent and deposit. No pets please! Private entry with space for computer area. ​Description #2734 This is a very nice condo on the bluff overlooking inlet and unobstructed view of mountains. Really a breath taking view. 3 bedrooms, 2 bathrooms, large open living room, dining and kitchen. 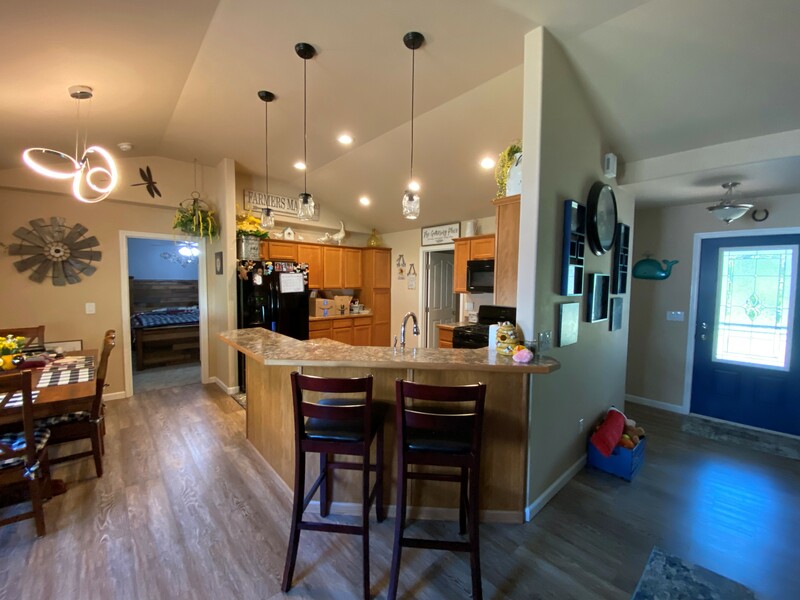 Huge breakfast bar, large kitchen with lots of counter tops and cabinets. Fireplace, washer and dryer, dishwasher. Tenant only pays natural gas heat, electric and water. HOA pays yard work, plowing and trash. 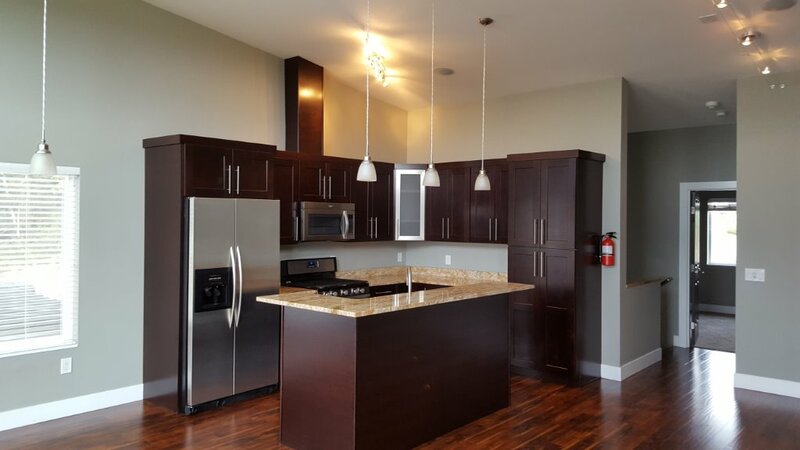 No smoking in unit, 2 car heated garage, large deck overlooking beautiful views. Pictures coming soon. 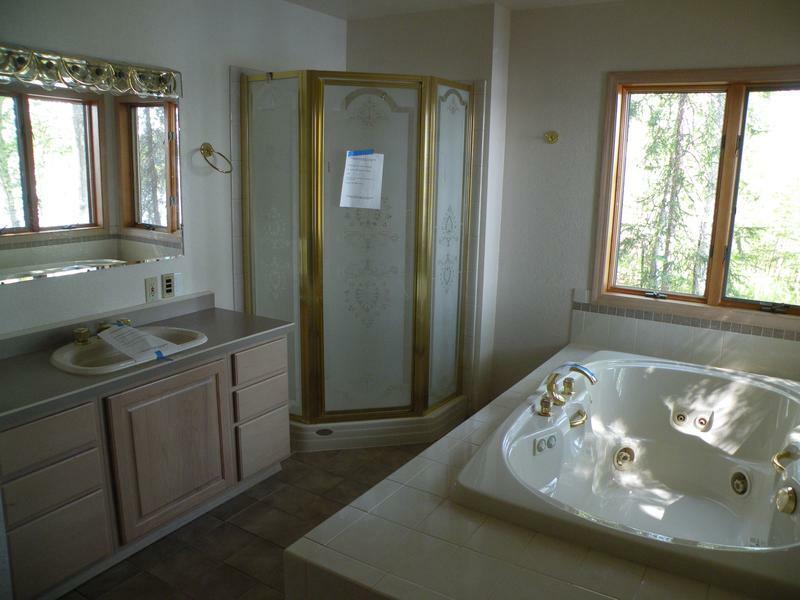 ​Description #4403 This is a nice, upstairs 2 bedroom, 1 bathroom unit. Large open kitchen with dining and living room. Being painted now. Lots of kitchen counters and lots of cabinets. Breakfast bar and all appliances including washer and dryer in unit. One car oversized garage and large storage shed. No pets and no smoking, one year lease. 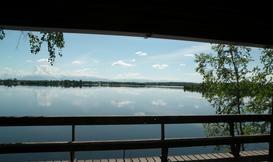 ​Description #2623 This is a wonderful lake front home on Horseshoe lake, southern views of the mountains across the lake. Big trees, private setting, landscaped, oversized garage with apartment above it. Greenhouse, metal roof, RV parking, carport for boat parking, located 2 lots away from boat ramp. Cute cozy home with lots of open space. Year lease, pet on approval. Fenced yard but lake side is not fenced. Natural gas heat in house and oil heat in garage. ​Description #3000 These are nice 2 bedroom, 1 bathroom apartments. B4 has new carpet. Good size living room, nice size kitchen with lots of storage, dishwasher, electric range, large pantry. Southern facing covered balcony on B4, A10 is Northern facing. Owner pays heat, plowing, yard maintenance. Tenant pays electric. No smoking and no pets, year lease only. Pictures may be a different unit. 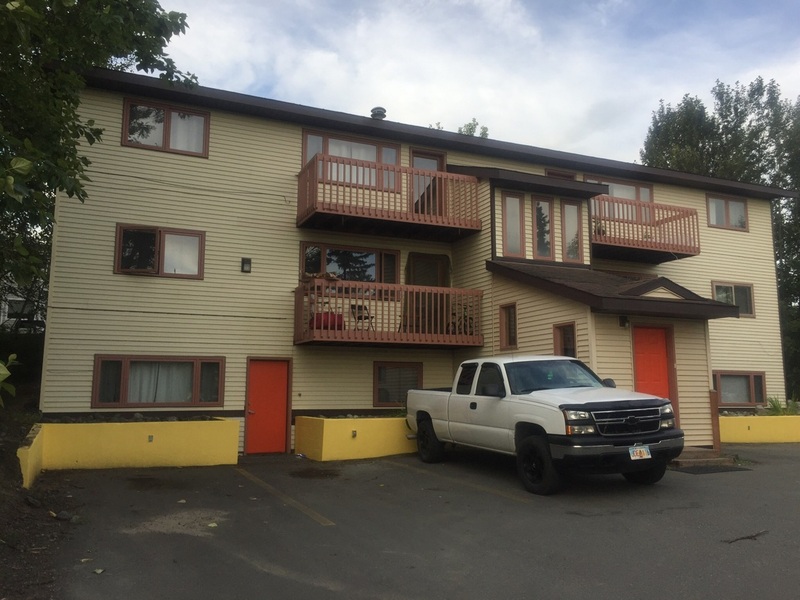 ​Description #4402#1 This is a nice, clean, newly painted 1 bedroom, 1 bathroom apartment in 4 plex behind Lowes. Good size kitchen, new range, new microwave, all laminate flooring, full size bedroom, washer and dryer on site. No pets, no smoking. Description: #5000PC This is a really nice, 2 story home. 3 bedrooms, 1.75 bathrooms, large bedrooms, lots of closet space, gas range, built in microwave, washer and dryer. Back patio and small lawn area. Treed and elevated yard. Large, over sized 2 car garage, one dog only on approval, no cats. $500 pet deposit and $50 additional in rent each month for pet rent. New flooring and paint in 2018. Natural setting yard, lots of paved parking, year lease only. No smoking of any product in the home or garage. Lake Front Property! Beautiful views! ​Description #3001#3 Penthouse level, no one over you! Corner unit apartment in 8 plex. 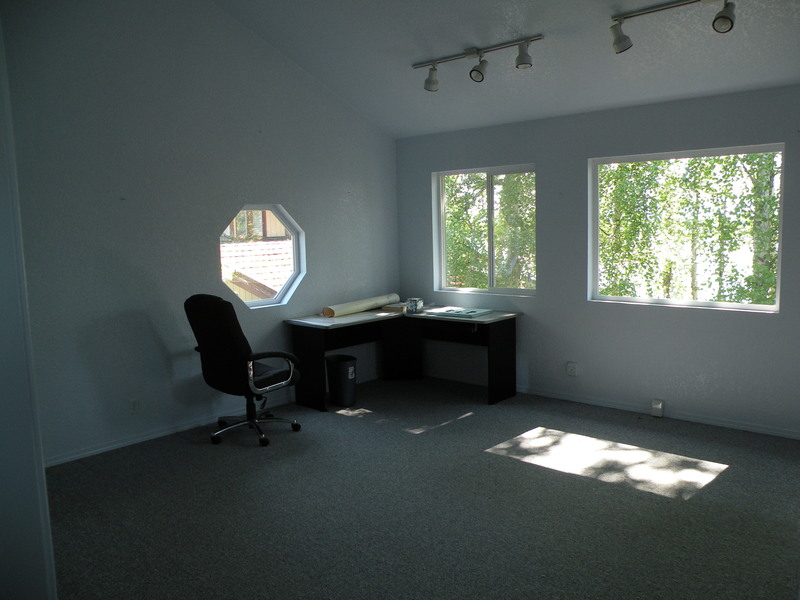 Great commuter location in downtown Eagle River. 2 bedrooms, 1 bathroom, dishwasher, gas range. Laminate flooring in living room/kitchen area. Coin op washer and dryer in building, storage shed, paved parking for 1 vehicle. Tenant pays electric owner pays all other utilities, corner unit. ​Description #4600#5 This is a nice, Penthouse level top floor, 2 bedroom, 1 bathroom apartment in 6 plex. All utilities paid by owner. Master bedroom is huge and kitchen is large to. Laundry room with coin op washer and dryer in the building. Mail service to the property. Paved parking and in walking distance of everything in downtown Palmer. ALL UTILITIES PAID IN THIS UNIT! No smoking and prefers no pets, may take cat on approval with $250 deposit no dogs. All Utilities paid by owner! 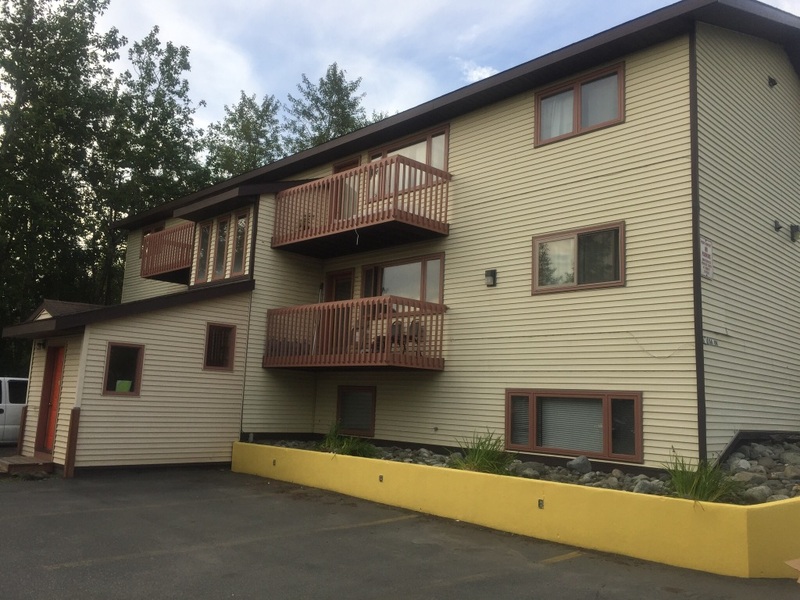 ​Description #Description: #2515 This is a very nice 2 story condo unit that is right across the street from Wasilla Lake and park. Beautiful mountain and lake views. 3 bedrooms, 2 bathrooms, dishwasher, electric range, island counter. Washer and dryer in laundry room. Cute and clean unit. In downtown Wasilla. Water and trash paid, tenant pays gas and electric. Large master bedroom with huge closet. 2 bedrooms down, master up. Alarm system in the home. Bike underpass to lake and park. 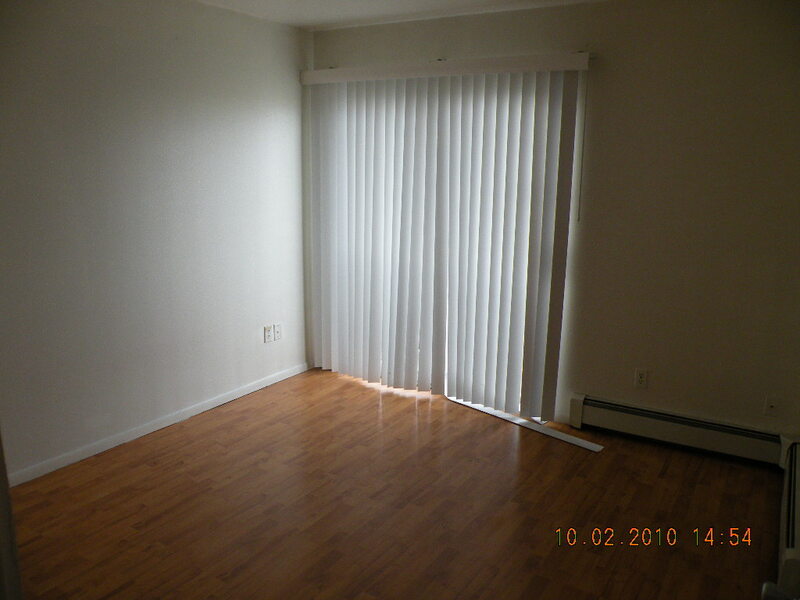 Prefers no pet but may take one on approval with additional $250 pet deposit and $50 additional rent each month. 2 car garage. Landscaping, snow removal and trash is provided by HOA. Deck looking at water and mountains, no smoking. 3 or 6 month lease available. ​Description #3000 This is a nice 1 bedroom, 1 bathroom apartment. Northern facing covered balcony. Owner pays heat, plowing, yard maintenance. Nice landscaped lot with picnic tables, large lawn area. Tenant pays electric. No smoking and no pets, year lease only. Pictures may be a different unit. ​Description #5000RB This is a cute 3 bedroom, 2 bathroom home that is a duplex lot with 2 separate units. About 1200 sq feet, built 2016. Nice home with good size living room, nice kitchen with electric range, built in microwave, island counter, dishwasher. Master bedroom has large walk in closet. Carpet, back deck, hot water on demand and baseboard gas heat. Tenant pays natural gas, electric, trash. Carport and nice back yard. No smoking. Dog on approval with additional $50 a month in rent and $250 pet deposit. ​Description #2325 Paved and landscaped. Pictures are of a different unit. This is a cute 3 bedroom house that is actually a four plex but they are individual houses. 1 bathroom, large living room. Built 2015. Washer and dryer in unit, 1 car garage, all appliances. No smoking in unit but pets are ok. If you have pets it is $50 additional in pet rent per month plus $250 pet deposit. No carpet, vinyl throughout. ​Description #2325 Paved and landscaped. Pictures are of a different unit. This is a cute 3 bedroom house that is actually a four plex but they are individual houses. 1.75 bathrooms, large living room. Built 2015. Washer and dryer in unit, 1 car garage, all appliances. 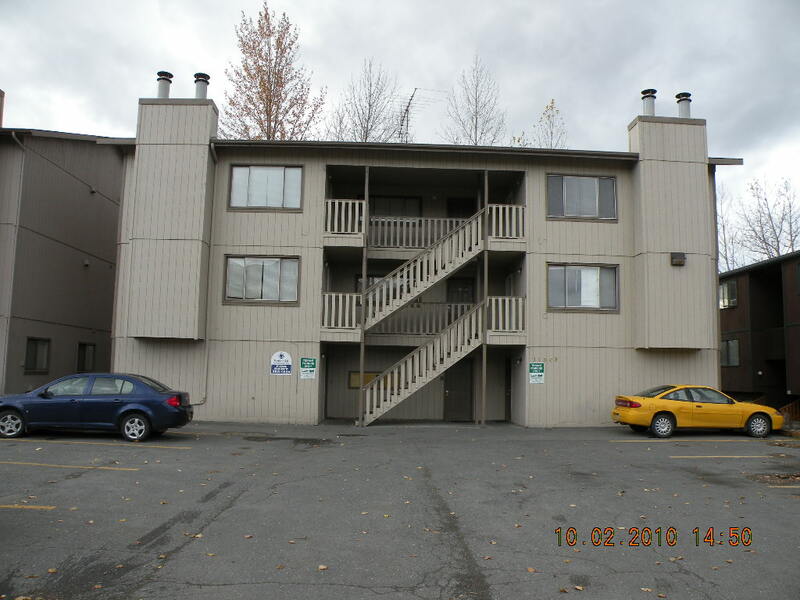 ​Description #7 This is a very nice, like new, one bedroom, 1 bathroom upstairs apartment in Wasilla. Pictures are of a different unit. This is an end unit in the corner. Electric range, granite counter tops, pantry, washer and dryer in each unit. No smoking. Hot water on demand and in-floor heat in each unit. Deck area. ​Description #2735 This is a cute, newer, two story 2+ bedroom home. 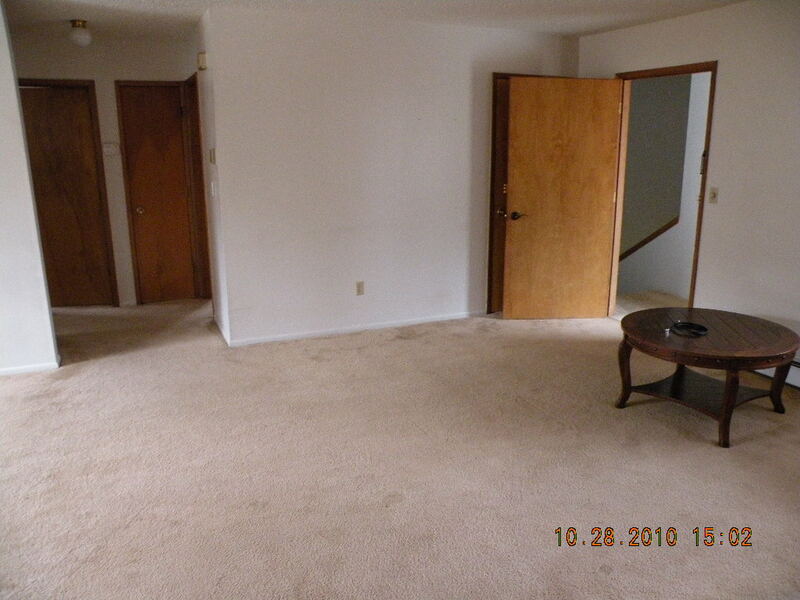 Has 2 full bedrooms and another with no closet. Could be a bedroom or office. 2 bathrooms. Laminate flooring downstairs, carpet up. Nice big kitchen with new refrigerator, dishwasher, built in microwave. This is really a cute place with lots trees. Circular driveway. washer and dryer in unit. Wood stove and garage tenant for storage or parking on property. 2 dogs on approval (no cats) with pet deposit of $250 per pet. No smoking in home. Laundry room with coin op washer and dryer in the building and on same level. Mail service to the property. All appliances including built in microwave and dishwasher. Electric range. No smoking and prefers no pets, may take cat on approval with $250 deposit no dogs.